The probable cancellation of the East Coast Rail Link (ECRL) may have far-reaching repercussions that have been overlooked. Among them is our strained relationship with China, which has already been impacted by a number of high-profile project cancellations, and what this could mean to our palm oil exports. The ECRL project, in particular, attracted enthusiastic participation from the Asian giant, but now there is renewed scrutiny over reports that Malaysia would most likely terminate the RM81 billion contract awarded to China. Among the top concerns being expressed by certain quarters is the likelihood that this will impact Malaysia’s palm oil exports to China, which is a key market for this commodity. Already the palm oil industry is suffering from the “cold shoulder” treatment it is receiving from European markets and some economists now fear repercussions from China following Malaysia’s decision to adopt more fiscally prudent policy as a result of apparent financial mismanagement by the previous administration. Government officials, however, have been quick to address concerns and Economic Affairs Minister Mohamed Azmin Ali recently said he was confident Putrajaya’s ongoing talks with Beijing over the ECRL project would not affect Malaysia’s export of palm oil to China. “We want to continue to increase trade with all countries including China. 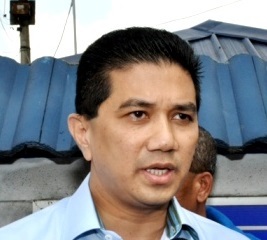 So we will discuss what is best for the country,” Azmin said. Despite this, there has also been a certain amount of confusion surrounding the project as various Cabinet members seem to be making conflicting statements. For example, Prime Minister Dr Mahathir Mohamad has said the government has not yet officially decided to scrap the ECRL. Meanwhile, Azmin has previously said that the government has already terminated China Communications Construction Group (CCCC) as the project’s contractor. Then, Finance Minister Lim Guan Eng said on a separate occasion that no official decision has been made. In his most recent interaction with the press, the Economic Affairs minister declined to comment when asked to comment on the latest status of the project, but revealed that talks were still ongoing at a Cabinet level as well as with China. He said that the government “will announce our decision on the matter soon” and that the public would be made aware of the outcome when that time comes. This leaves the plantation industry jittery, and the property and construction industry – which was banking on the fresh new development corridors that would emerge as a result of the ECRL – in a state of limbo.